Though the mainstream potato fries also taste superb, these carrot fries is definitely something the whole world should not miss. Aside from it’s delicious taste and the many health benefits, these are Paleo fries! Carrots is a very good source of beta-carotene, which the body converts into vitamin A that is good for the eyes. Sumac, an ingredient of this cuisine also, has higher antioxidant activities than many common fruits and vegetables, suggesting that sumac might have earned a place on the superfood list. That is the point there, you’ve got an superfood in your ingredients. This is the paleo diet is all about! Plus, it is cooked using the very healthy olive oil, which is a good alternative to dangerous, fatty cooking oils the modern day uses today. 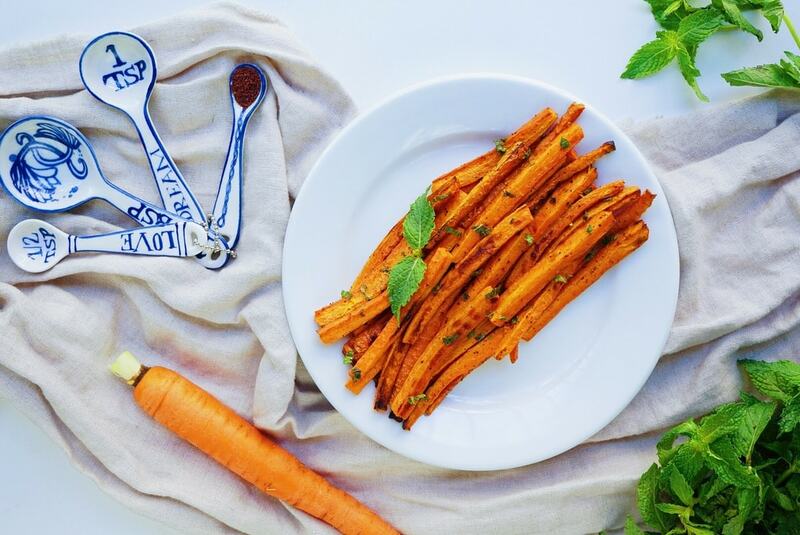 To make and prepare this yummy paleo fries, simply cut ends of carrots off, slice lengthwise, slice each side into 3 pieces to create carrot shape fries. Set the slices aside. Then, add olive oil, sumac, and salt to a medium bowl.Put the bowl into a preheated oven at 425 F. After that, cook the fries in the bowl for 10 minutes. Next, remove the fries from the bowl and flip them. Next, increase oven heat to 450 and cook for an additional 10 minutes (or until crispy). After that, let carrot fries cool for 10 minutes. Lastly, finely chop mint and sprinkle on top of carrot fries. That is all the process and the nutritional facts about this cuisine that you need to know. 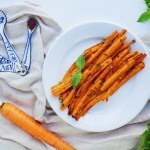 This paleo fries is easy to make, and is very healthy.This baked carrot fry recipe is a delicious Paleo alternative for guilt-free fries. I chose to season my fries with Sumac, a classically Middle Eastern spice with a lemony zest. Feel free to improvise and season your carrot fries with anything you’d like. Cut ends of carrots off, slice length wise, slice each side into 3 pieces to create carrot shape . Add olive oil, sumac, and salt to a medium bowl . Place fries on a parchment lined cookie sheet . Cook fries at 425 for 10 minutes . Remove fries from oven and flip them . Increase oven heat to 450 and cook for an additional 10 minutes (or until crispy) . Let carrot fries cool for 10 minutes . Finely chop mint and sprinkle on top of carrot fries . You bring the will and we'll show you the way: Sign up for a meal plan today. Celeste Wilson is the creator of The True Spoon, a recipe and restaurant review blog. As a Nurse, Celeste is a true believer in the healing power of food. Her goal is to inspire healthy eating through her unique plant forward recipes. To see more from Celeste's check out www.TheTrueSpoon.com and on Instagram@thetruespoon.